provides thinning scissors to the market which satisfied strict conditions. 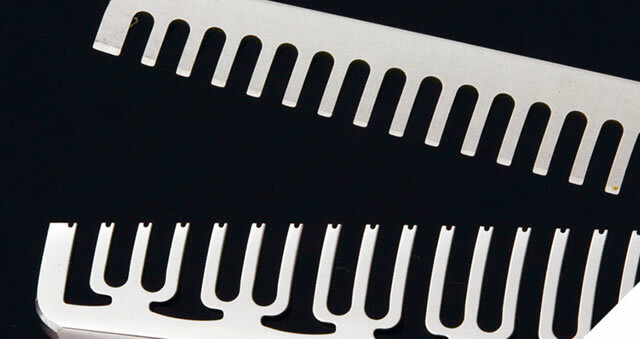 S.cosmo's thinning scissors satisfies 9 strict preferences and conditions. The president of Cosmo-smith Mr. Kuribayashi is called genius because of self-imposed 9 preferences. Those are brought by his devotion to seek the better thinning scissors day by day. 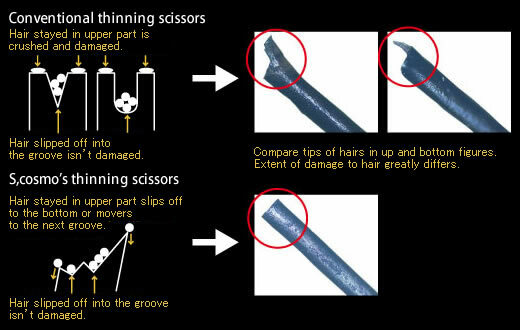 Those thinning scissors are outcome of seeking "ease of use for hair stylists" and "thinning scissors which minimize damage to hair". Those thinning scissors are recognized as master pieces by famous beauticians and hair artists not only in Japan but also in the Occident. Only S.cosmo uses 100% specially forged stainless steel material made from mountain iron sand. Mountain iron sand is prestigious and precious material in the world which is mined only in Sweden and in mountain areas of the Chugoku region Shimane prefecture Japan and includes less impurity. 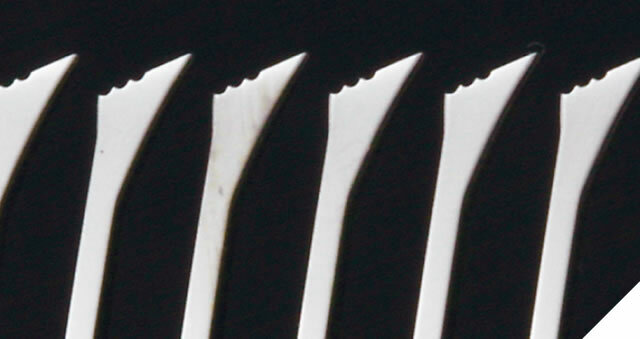 Steel made from mountain iron sand is best suited for Japanese iconic edged tool, Japanese sword. 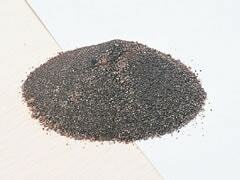 Hitach Yasugi Speciality Steel　is made from the mountain iron sand. 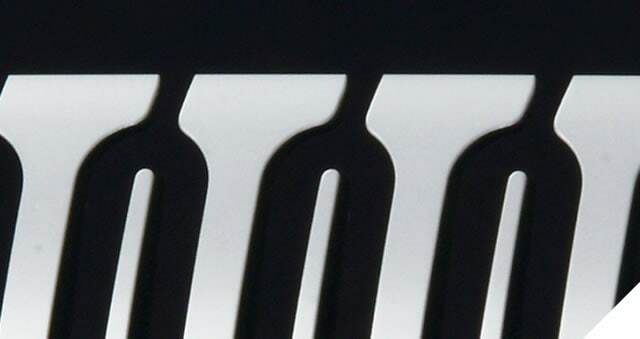 S.cosmo's scissors are made of ATS 314 and SUS 440C which include less impurity. 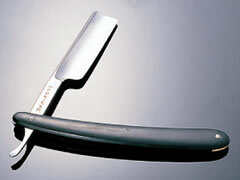 Only S.cosmo uses specially forged material made of 100% Hitach Yasugi Speciality Steel. ATS 314 and SUS440C in the scissors industry. 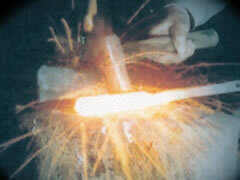 By means of using specially forged material made of Hitach Yasugi Speciality Steel. 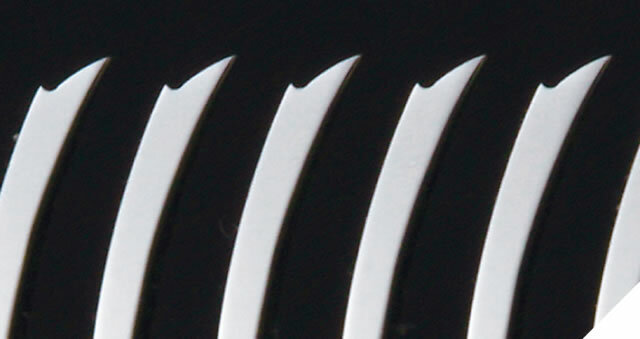 ATS 314 and SUS440C, quality of scissors is greatly enhanced. Distinctive numbers of processes, time and manufacturing tools differentiate in terms of "damage to hair", "ease of use" and "duration of sharpness". Processes and time to be spent in each process of manufacturing thinning scissors of S.cosmo　are different from those of scissors in general. In addition specially contrived "hammer" and "anvil" for redress and whetting, and originally designed "whetstone", "abrasive compounds" and "shape of buff" for polishing have enhanced quality of scissors. These methods are time consuming but have merit in preventing from damaging hair. Sufficient time is spent especially in redress and its method is completely different from conventional way. Assemble finger rest and etc. 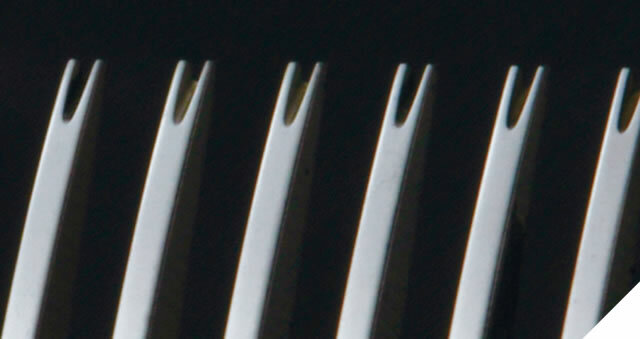 Manufacturing scissors is profound handmade technology which depends on micron order difference. 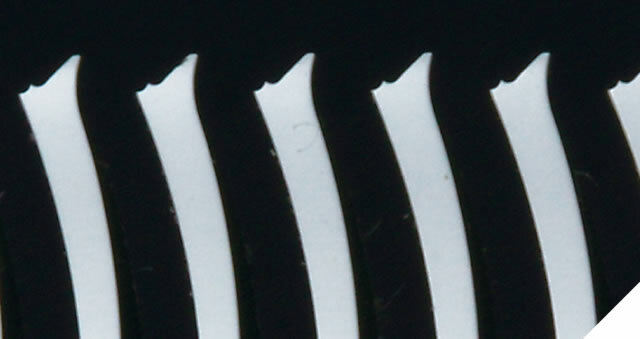 Scissors' sharpness, ease of use and damage to hair depend on micron order difference. Redress with micron level accuracy is necessary for scissors to cut without crushing each hair cell (without damaging hair) because the diameter of a hair is 60 to 70 micron. This slight difference is felt utterly by hair stylist hands. 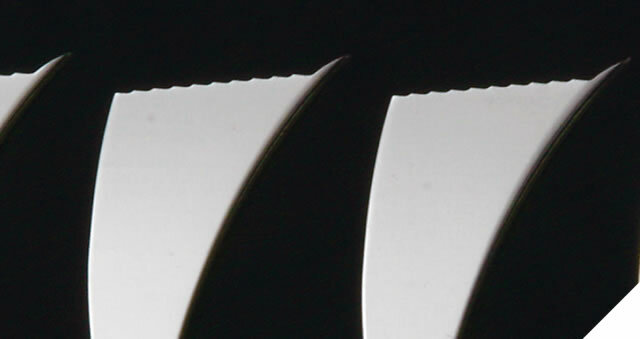 Intricate redress of sharpness and bite of blade cannot be done by machines. Therefore we stick to handmade. Material of each scissors is subtly different and appropriate work should be done depending on temperature and humidity. 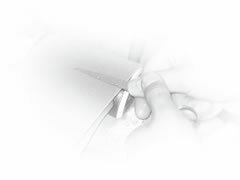 Quality of scissors depends on craftsmen's skill even if high quality material is used. Material (steel) behaves as if alive. And scissors also behaves as if alive. By means of fully operating profound handmade technology we materialized the same sharpness as Japanese swords and razors as if it sticks to hair. Sharpness of scissors and tiredness of performers depend on the position of a center of balance. Scissors which do not make performers get tired easily and have good sharpness have a center of balance at different position. 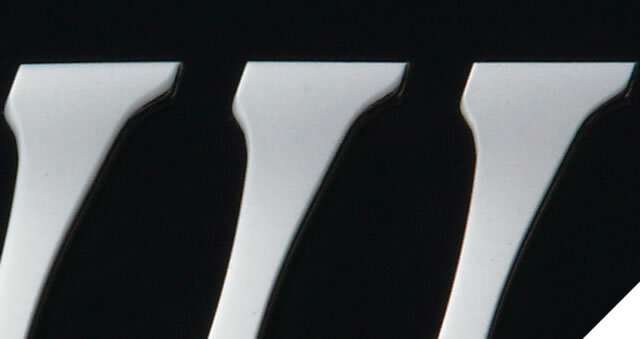 The position of a center of balance of S.cosmo's scissors is decided by design based on ergonomics. We sought natural fitness to natural behavior of human. Although fitness depends on each hair stylist, many of them decide to purchase by the first sensation of fitness. But the good fitness often depends on habit according to the prior scissors. S.cosmo's scissors which have right balance are felt slightly uncomfortable by hair stylists with prior habit, but those prevent tenosynovitis in a long run and have a structure which does not make performer get tired easily. Not only for wet or dry, almighty incisiveness is materialized. Some of hair stylists have scissors for dry and for wet respectively and some of them have special preference. S.cosmo's scissors are usable regardless of whether hair is wet or dry. Notably in terms of incisiveness beard can be smoothly shaved by the blade of our scissors. By means of equipping the same incisiveness as razors to the stick blade, higher-grade incisiveness is materialized. 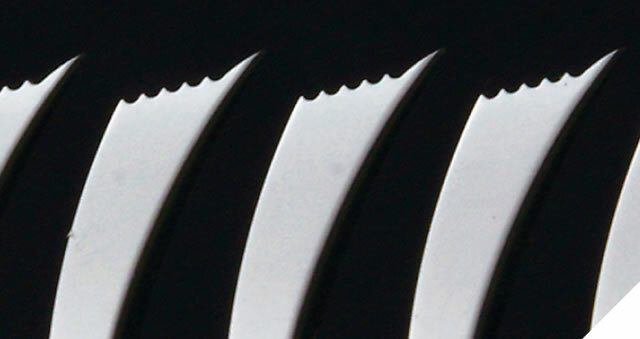 This technology is achieved by our company which aims at blades of Japanese swords and razors. In addition the sensation of incisiveness differs depending on each hair stylist. The incisiveness is freely adjustable, such that we blunt incisiveness when you feel they are excessively sharp or we sharpen incisiveness when you feel they are blunt. 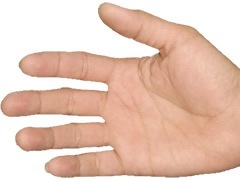 The design based on ergonomics was considered from attention to hands. Although currently flamboyant design of scissors is highlighted, S.cosmo's design concept is focused on user oriented scissors making, namely we are concerned with design weigh heavily in ease of grip, ease of use and doing not make performers get tired easily. We practice design based on ergonomics also in this respect. S.cosmo　recognizes "when scissors ring is dislodged and scissors are gripped those cause no pain and are settled into hand" as a requirement for good scissors. Scissors which cause pain when those are gripped are bad quality and burden a hand. The design which is wear well and not affected by the trend is considered from attention to hands. It is usually said that deterioration of incisiveness of scissors is felt after 6 months to a year. 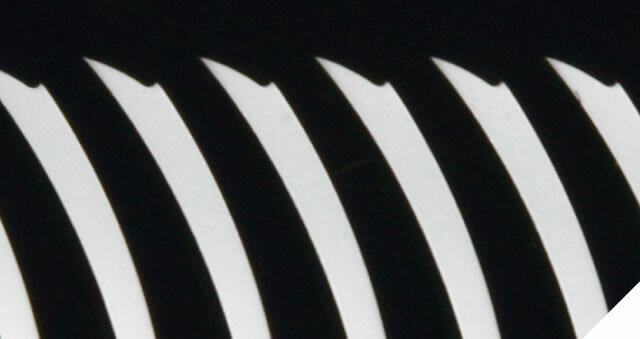 S.cosmo's scissors materialized astounding durability of their incisiveness. 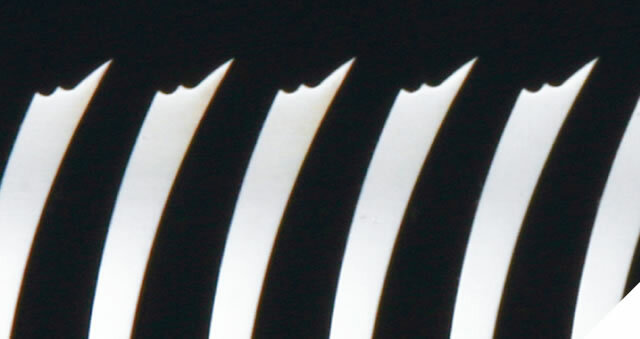 This astounding duration of sharpness is attributed to the manufacturing process which has basically applied the process for making Japanese swords and razors. Ultimate duration is materialized by the forging technology which forges material (steel) and enhances duration of sharpness to the maximum. Endure hard cutting and keep delicate incisiveness. 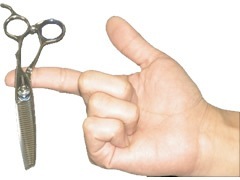 Thinning scissors in the 21st century which are made by utterly different idea from conventional scissors. Applying blades with utterly different shape from conventional thinning scissors, we succeeded to cut hair without damaging hair. 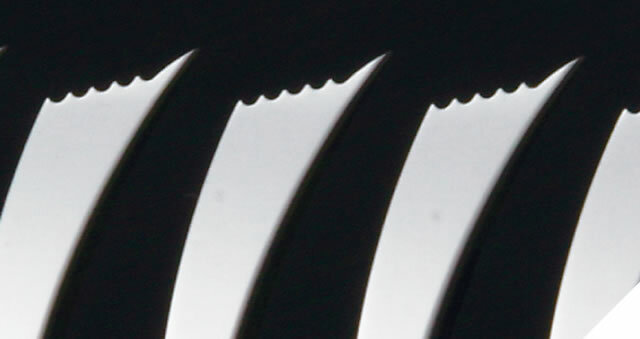 Blades with special shape conquered common sense of conventional thinning scissors. Conventional thinning scissors inevitably damage hair due to the structure of blades. Because of that, some of hair stylists refrain from using it. 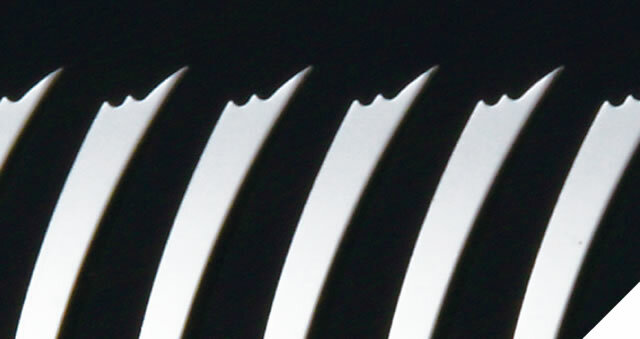 Blade shapes of thinning scissors of S.cosmo are utterly different from conventional one. 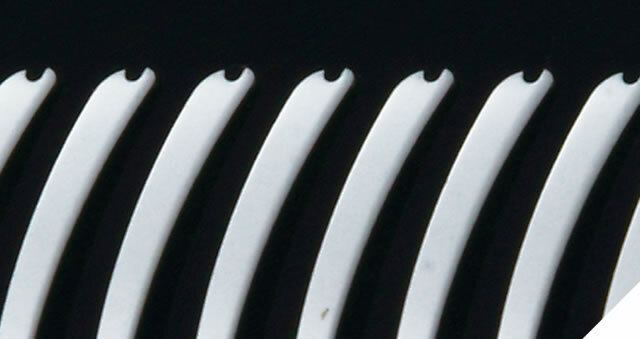 Those apply blades with special shapes which do not damage hair. In addition because the same incisiveness as stick blades is equipped to comb blades, incisiveness is enhanced and thinning scissors which can be used with the same feeling as cutting scissors are materialized. 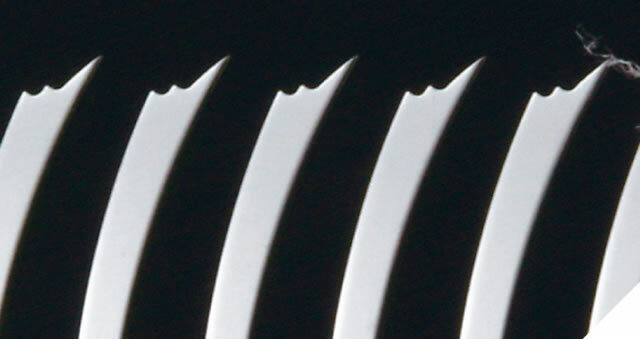 The right figure shows the tip of comb blades of thinning scissors. Hair which enters into V or U shape groove is cut relatively less damaged by conventional thinning scissors. But hair which does not enter into the groove and stays in upper part is crushed by the stick blade and therefore hair is damaged. In case of S.cosmo's thinning scissors because hair which does not enter into the groove structurally slips off from comb blades, hair isn't damaged. 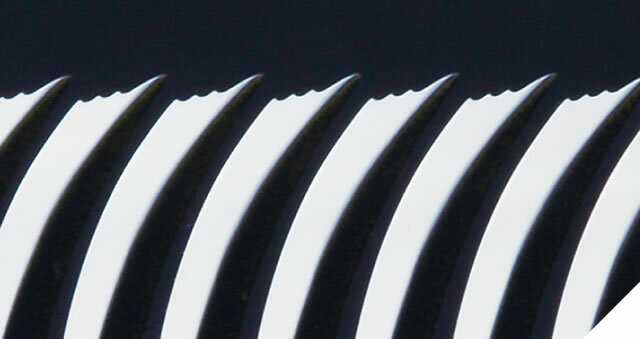 We set a high value on rather balance and sharpness of scissors than whetting and adjustment in full maintenance. We think that relation between customers and we last even after selling products, and we hope customers use pleasantly our products for a long time. Because we as Cosmo-smith want users to use their scissors for a long time, we also set a high value on maintenance. Although maintenance in general has 2 to 5 items of diagnoses and 2 to 7 items of maintenance work, maintenance in our company has 10 items of diagnoses and 12 items of maintenance work. 5. Redress of bite *This process may be omitted depending on diagnostics result.